Media from around the world will descend on Philadelphia next week for the Democratic National Convention. Among them will be Rob DiRienzo, 21, a rising senior and journalism major at Temple University. DiRienzo is an unabashed journalism nerd. When he was a little kid, he built a television studio in his basement made up of toy blocks just so he could slip down there every morning and read the newspaper aloud in his best faux-anchor voice. “To get my foot in the door, to have the credential around my neck, to be vetted by the Secret Service and say, ‘Yeah, he’s a member of the press,’ to be an actual working member of the press at a high-profile event like this, it’s beyond words for me,” DiRienzo said. Each night during the convention, DiRienzo will file reports for KTVA, the CBS affiliate in Anchorage, Alaska. 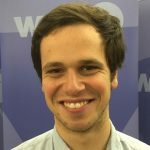 DiRienzo’s transformation from uber-eager journalism student to Alaska’s man-on-the-scene at this year’s Democratic convention came courtesy of Temple DNC News, a novel reporting collaborative dreamt up by Temple University’s School of Media and Communication. The concept is fairly simple. There are scads of media outlets across the country that would love to have boots on the ground in Philly, but can’t afford it. Temple, meanwhile, educates dozens of journalism students who crave the chance to cover a big-ticket event. Match one with the other and, voila, you’ve got a reporting partnership that could be the first of it’s kind. “If others have done this, we didn’t know about it,” says Karen M. Turner, associate professor of journalism at Temple and one of the project’s founders. There are 21 media outlets participating in the Temple DNC News collaborative, and 20 students assigned to serve those clients. The outlets don’t pay a cent to be part of the partnership, and the students produce whatever content their temporary bosses request. For their trouble, each student receives a $1,000 stipend from the school. The Temple DNC News correspondents will work out of two newsrooms during the convention — one at the convention site in South Philadelphia and another in Center City. 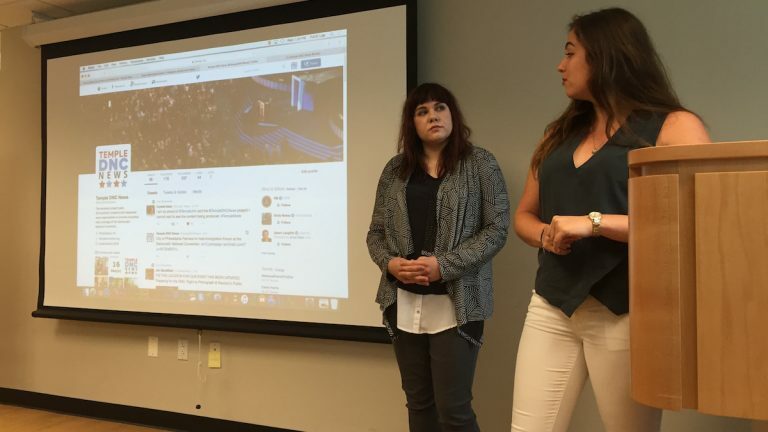 To prep for the four-day extravaganza, students have been taking a summer crash course on political journalism and live-event coverage. They’ve also had to study up on the communities they’ll be serving next week — communities as diverse as Biloxi, Mississippi; Billings, Montana; and good old Anchorage. DiRienzo, a Hackettstown, New Jersey, native, has never been west of Tennessee, but he’s been reading up on Alaska’s political culture. He said he’ll keep a close eye on gun-control issues and the tension between proponents of runner-up Bernie Sanders and supporters of presumptive nominee Hillary Clinton. Sanders won a landslide victory in Alaska during the state’s Democratic caucus. DiRienzo also plans to follow the personal journeys of Alaska’s 20 conventions delegates, all of whom will have to travel a great distance — and pay a lot of money — to make it to Philadelphia. Bert Rudman, KTVA’s news director and DiRienzo’s soon-to-be boss, said he doesn’t know what to expect from his newest correspondent. KTVA, Rudman said, has never sent a reporter to a national political convention. Temple DNC news offers a rare opportunity for his station to get convention coverage with a local twist. “It’s great to have someone in the city in which the convention sits to tag along with our delegation and find out what’s going on from their perspective,” said Rudman. Other outlets in the Temple DNC News collaborative, however, have covered conventions before. Changing consumer habits and sagging ad revenues have forced many mainstream media companies to trim staff and rely on syndicated content when it comes to covering major national events. That downturn, said Turner, has created, in this case, an opportunity for young journalists to fill the void.